They come in a range of shapes and sizes, you can find them in different colors, some may be more energetic than others, and whenever they get excited, the party is about to start. Of course I'm talking about wieners. 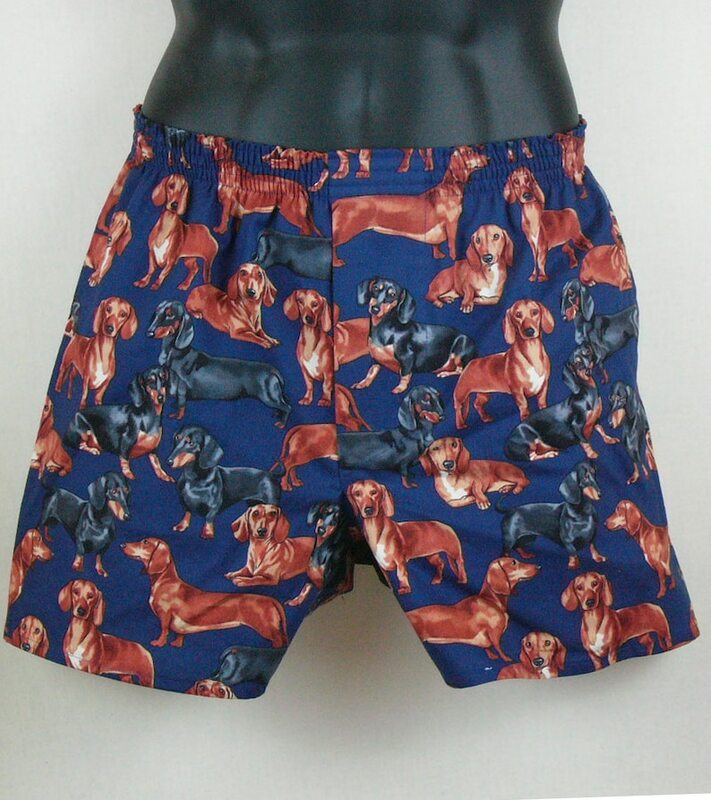 Wiener DOGS, you pervert! While they were originally bred to flush badgers out of their holes, they now live to take up residence inside your pants. On the front of the wrapper you'll see the title - "THE MAGNIFICENT WIENER" (although upon request, I'm happy to print a wrapper with the title "THE HUMBLE WIENER" - up to you!). All of my boxers are full-cut with a three-panel design (no center back seam) and a functional fly. I make all of my products in a smoke-free home, I only use woven 100% quilter's quality cottons, I prewash all fabrics before I cut so the finished garment stays true-to-size, and all interior seams are finished by flat-felling. These are some quality underpants... and they're indispensable when you want to play a rousing game of "Count how many wieners are in my pants'! Excellent product. Great quality. Fast shipping!! !